Since the last issue of Policy Watch more detail is available via the MSD website on the new Community Response Fund (CRF). In a press release about the opening of the CRF, the Minister has said that up to $104m will be available over the next two years, with the first of three funding rounds open from 8 June to 3 July. The funding is for critical social services facing significantly increasing demand or severe financial difficulty.The maximum amount of funding available per application is $50,000. Application forms are available on www.familyservices.govt.nz or you can ring 0800 777 100 or email communityresponse@msd.govt.nz You may want to check out the CRF NGOs workshops being run around the country until 25 June. In the part of the MSD website which has information on the CRF you can also find (albeit very brief) information on the 2009/10 CPI adjustment of 3% to MSD contracts and reference to the ‘reshaping’ of the former Pathway to Partnership programme. It states that the funding increases that community groups received under P2P “will continue to be funded at the increased level for the duration of their contract”. There is much uncertainty about the future of the remaining funding that makes up the P2P four year package. NZCCSS has been assured by officials at MSD that the funding has been ‘ring-fenced’ for the social services sector. However we are also aware that the release of future funding is subject to approval by Cabinet. What the ‘reshaping’ will look like remains to be seen. In its latest newsletter (no 59) RECAP (Rethinking Crime and Punishment) looks at the issue of child abuse in New Zealand. One of the main drivers of child abuse is victimisation: “the people most likely to commit child abuse are those who have themselves been abused as children”. I recommend the link in this edition of RECAP to a short paper entitled Drivers of Crime – Child Abuse. You may also want to check out an interesting article on preventing child abuse found on the Infometrics NZ website. The article entitled Can we do better preventing child maltreatment? 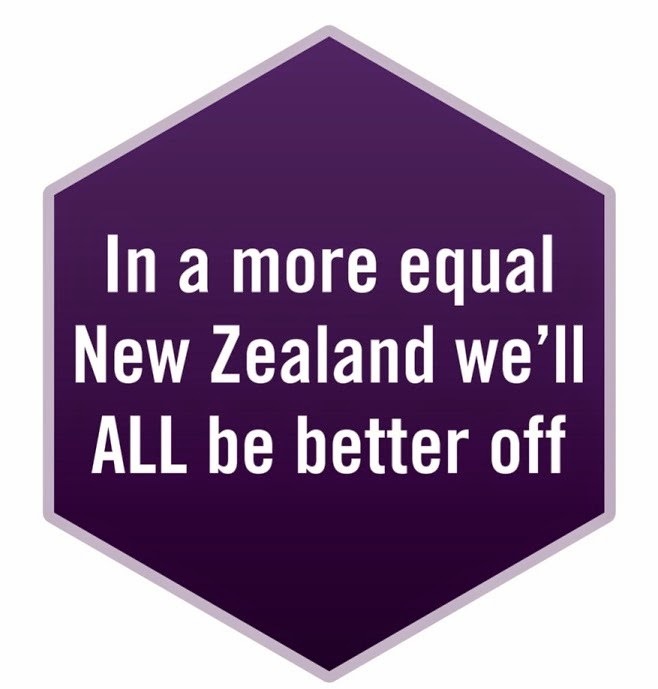 estimates that child abuse costs the economy $2b per annum which is more than 1% of NZ GDP. At a recent meeting of its Council it was agreed that NZCCSS would sign up to the Yes Vote Campaign. This campaign supports the recent changes to the law which removed Section 59 of the Crimes Act. Section 59 allowed the use of parental force for the purpose of correction. It is heartening to hear that John Angus, the Children’s Commissioner, has also publicly supported the current law. The upcoming referendum question “Should a smack as part of good parental correction be a criminal offence in New Zealand?” is a flawed question. The repeal of Section 59 sought to remove a legal defence that parents were sometimes using to excuse abuse. Shifting the debate to a focus on ‘smacking’ is misleading and minimises the issue. It was never just about ‘smacking’ and contrary to predictions from organisations who wanted Section 59 to remain, the repeal has not led to the criminalisation of large numbers of parents. In the NZ Herald, Tapu Misa explores some of the issues in her column The fight must go on to protect children. The Salvation Army has released another thought-provoking discussion paper exploring consumerism and what we feel is rightly ours. It focuses on the concept of entitlement and the inherent dangers of framing entitlement in terms of our desires and inflated expectations. The Rainbow paper follows on from an earlier paper on Economic Elephants and the theology of enough. Wesley Community Action is offering a 2 day training symposium with Dr Barry Duncan on “how to achieve greater effectiveness in social services”. The training looks at the practice tools to help clients to get the best outcomes out of their relationship to the helping agency. More information on Dr Duncan’s work can be found on www.talkingcure.com and www.whatsrightwithyou.com. The total cost is $375 for both days (GST incl). For more information visit www.wesleyca.org.nz and follow the links to news and events or email symposium@wesleyca.org.nz I have heard Dr Duncan speak and was very impressed with the empirical evidence and the practical advice he provides on the importance of feedback from clients and how critical the client/helper relationship is to good outcomes. Conference themes include: supervision in context, research, education and training; cultural models and social justice; innovations in practice and theory. For further information or if interested in presenting, obtain a copy of the abstract submission form by emailing Conference Organizer barbara.a.burt@gmail.com Proposals for presentations and workshops to be submitted before 1st of September 2009. This seminar covers the following themes: end of life ethical issues, spirituality, chronic illness and the transition to palliative care You can register online either through the Te Omanga Hospice website or email Kirsty@currentevents.co.nz or phone (04) 499 1882. Early Bird Registrations close on 19 July 2009.